Charisma may seem like some kind of magical gene, one at some of us have, that ‘je-ne sais-quoi’… Barack Obama said: Charisma is not a trick. 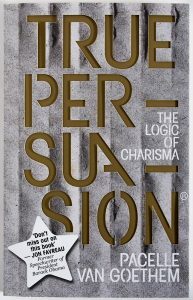 Much has been written on persuasion, particularly in relation to rhetoric, psychology and marketing. And social psychologists have identified triggers that cause people to follow others and make irrational choices. Still, why do these triggers work? What happens in our brain? What if we could provide a comprehensive explanation of what actually happens during the process of persuasion? 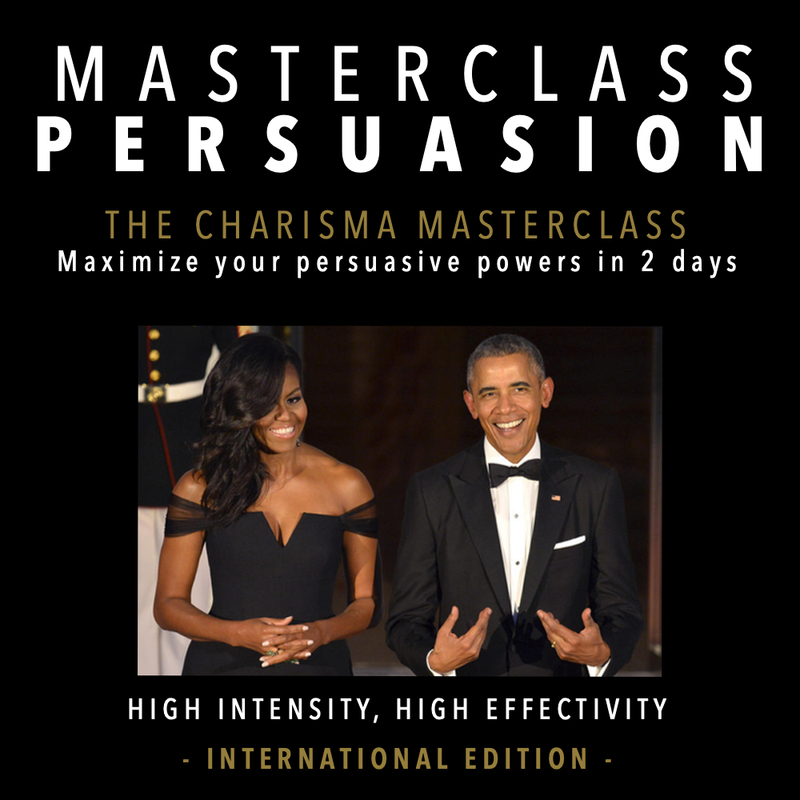 And what if we could reveal the secret of persuaders, crack the magic code of charisma, discover the power to be persuasive? As it turns out, charisma can be logically explained. Like Obama says, it is not a trick. We can all learn to use it. It is there for the taking. Neuropsychology has provided answers. There seem to be three parts of the brain important for persuasion. The prefrontal cortex, hippocampus &amp; amygdala. If you want to persuade someone there’s three things that should happen in the brain. Their hippocampus should recognize you as something normal or even pleasant. The amygdala should not be alarmed, that is, you shouldn’t remind them of a former threat or annoyance. The prefrontal cortex should consider you or your behaviour to be ‘normal’. So what we need to do, is make THE OTHER FEEL RELAXED. When relaxed, they ‘open up’ their mind to even listen. Relaxing the people you want to persuade is key. The brains of all people around the world seem to be wired the same, but the trick of persuasion is to find out what it is that the other finds normal, i.e. what the expectations of their brains are. Persuasion, agreeing with someone, will happen if the person doing the persuading is capable of relaxing us and making us open up to them. To achieve this they must meet specific requirements, i.e. presenting themselves in such a way that our hippocampus recognizes them as a neutral/pleasant stimulus and our prefrontal cortex believes that they are behaving ‘according to what is expected’. Expectations depend upon what our brain has experienced at the personal, educational and cultural level. We will agree by following someone if he or she meets our specific criteria and the subject is not all that important to us. If we have a high level of involvement regarding the subject, we will first think about it and then either agree or negotiate. In other words: You can only persuade someone when they are relaxed and prepared to listen to you; You need to meet expectations; their hippocampus should recognize you (neutral to pleasant) and the prefrontal cortex should regard you as ‘normal’. 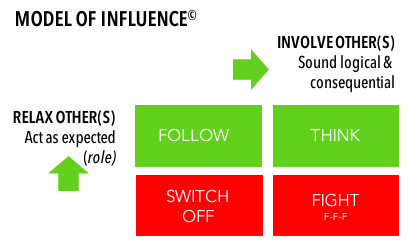 Persuasion can be achieved either unconsciously (following) or consciously (thinking); and When the other is highly involved you must continue to make them feel relaxed in order to avoid a fight, flight or freeze response. Please find more information in the book.